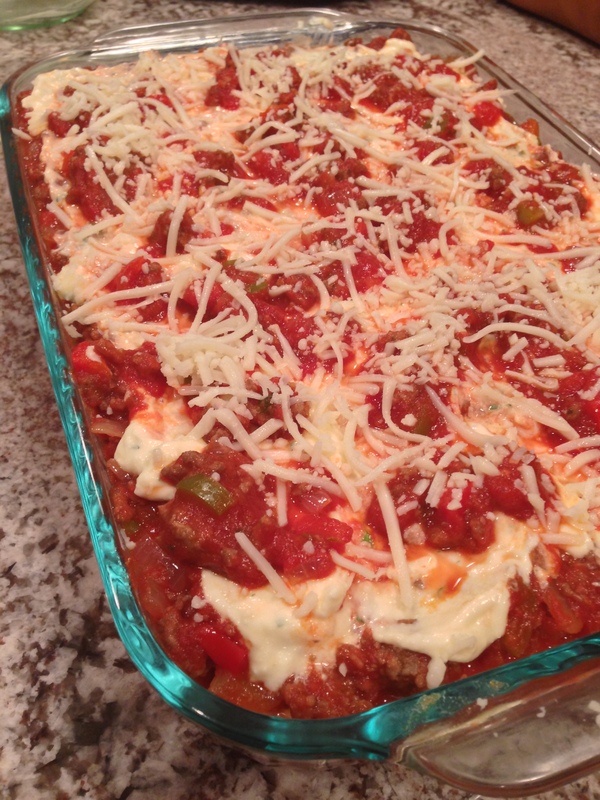 I make lasagna not because I love it, but because it is my husband’s favorite meal. If we are ever out at an Italian restaurant and lasagna is an option, he will order it 8 times out of 10. The remaining 20% of the time he will order a spicy seafood pasta. I like to keep the lasagna simple but fresh, so I followed the recipe I grew up on with only minimal changes. I did make this extra meaty, which you may or may not appreciate. You will have extra sauce for serving and you can cut back on the meat as you see fit if 2 pounds of meat seems excessive to you. – 5 sprigs fresh thyme, center stem removed and chopped. 1. 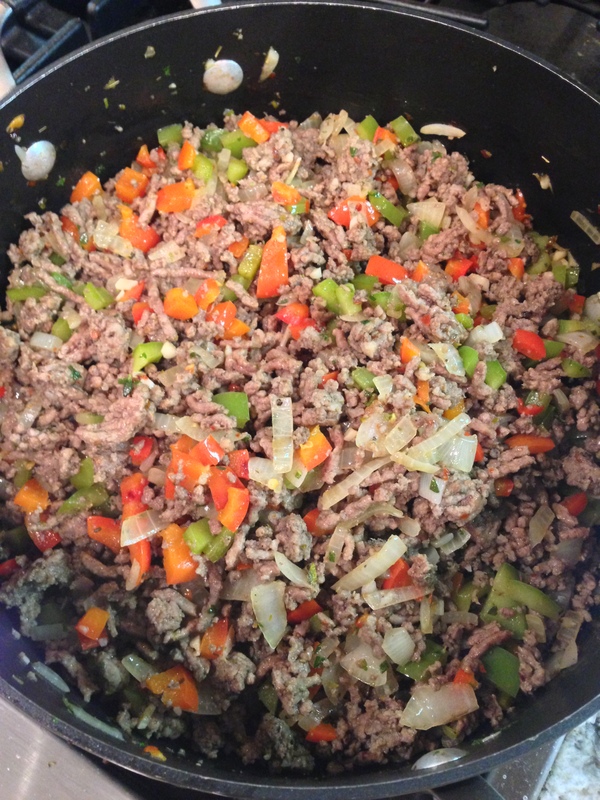 Make Sauce: In sauce pan, brown ground beef and sausage then drain. Remove the meat and add a little olive oil to coat the bottom of the pan to saute the onions and peppers. When they look a little sweaty, add oregano, garlic, red pepper flakes, sage, parsley, thyme, salt, pepper, and simmer in the red wine. Add meat and tomato sauce, heat through simmering at least 30 minutes to develop flavor. 3. 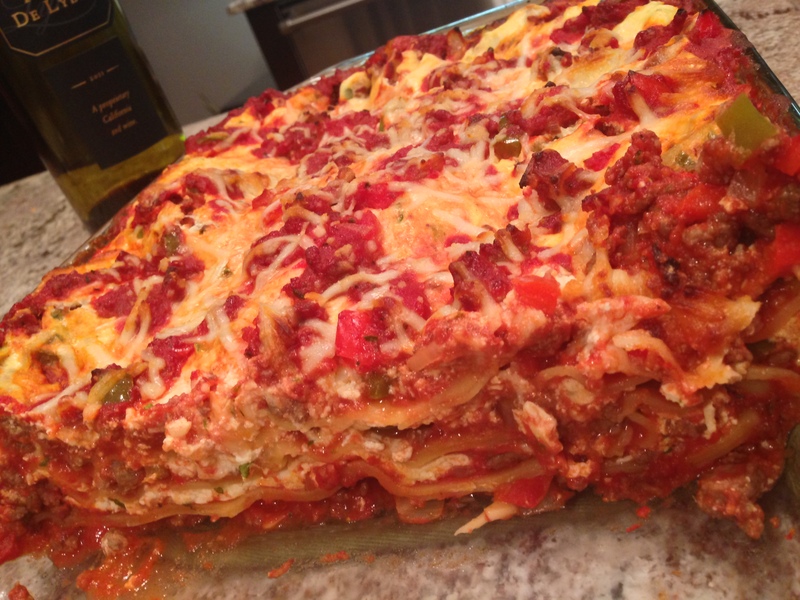 Cook lasagna noodles al dente and set aside. Better yet, buy the “no cook” version! 4. 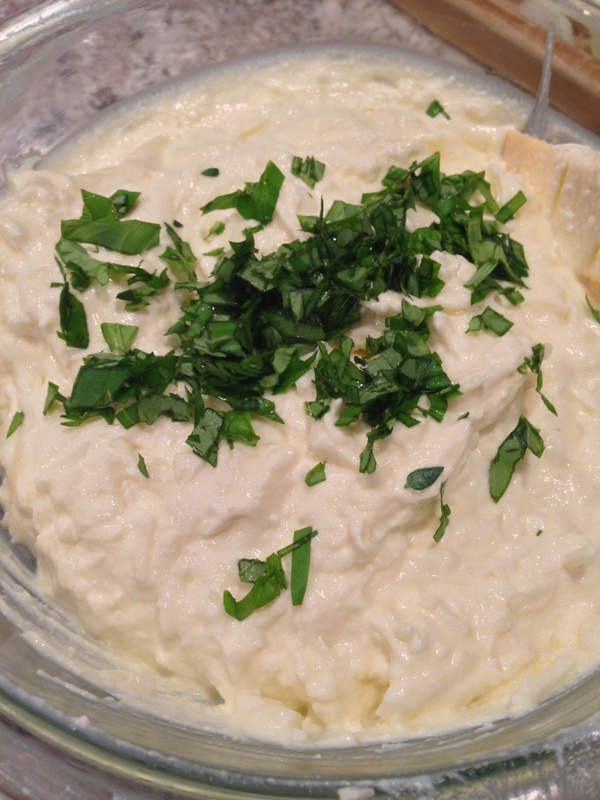 Make filling: combine ricotta, mozzarella, Parmesan, and eggs. 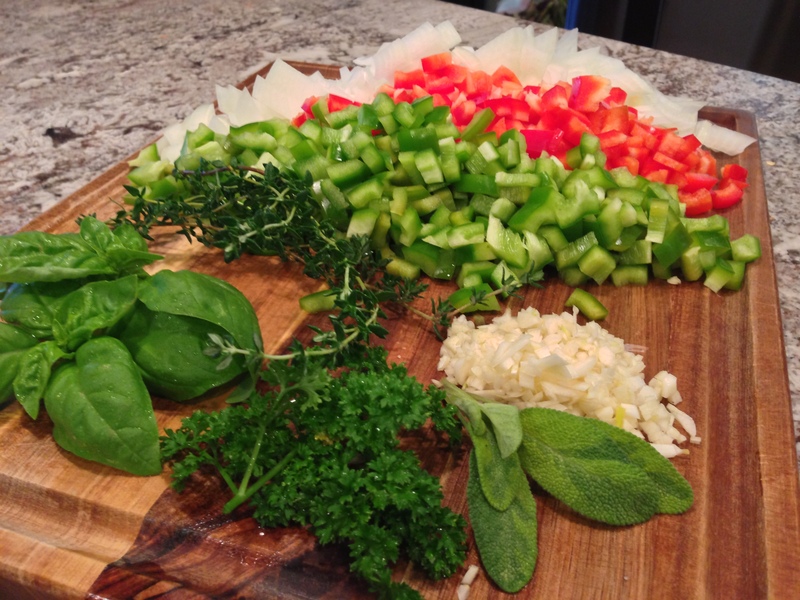 For an added touch I folded in the 2 Tbsp of fresh chopped basil. 5. In 9×13 pan alternate layers of noodles, sauce, and filling starting with sauce on the bottom. Top with extra cheese. I have to say with all the fresh herbs I was pretty excited for this dinner. It was fresh and filling with good depth overall. I did find it best to add extra sauce as the no-cook noodles probably absorbed a bit of moisture and the sauce was extra thick and meaty to start with. Adding the red wine to the sauce really does a lot to develop flavor in a short amount of time. You can add a little sugar to improve the depth of the sauce of you don’t have red wine available. We picked a deep red and drank the rest with dinner, complimented the meal wonderfully. 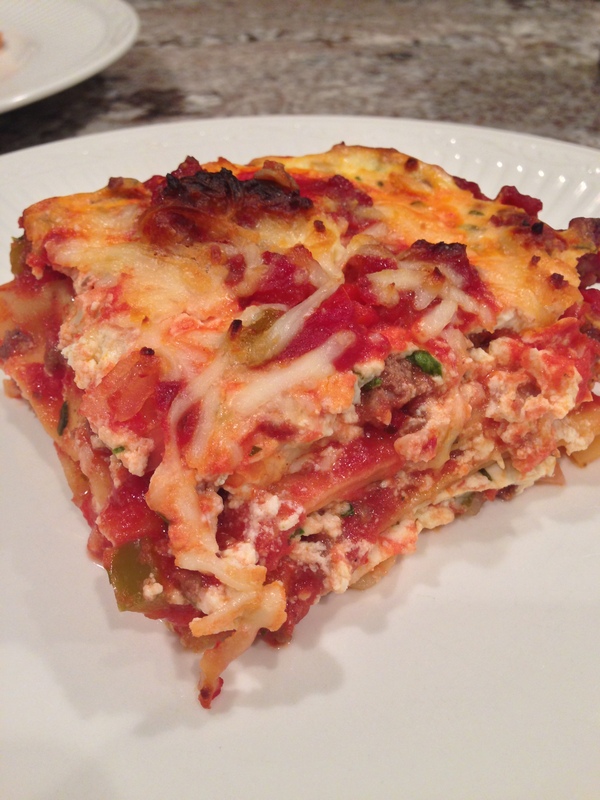 This entry was posted in Main Dishes and tagged Italian cuisine, Lasagna, Meaty Lasagna, Parmigiano-Reggiano, Ricotta, Tomato sauce. Bookmark the permalink.